Whether you’re a lover of yachts and all things nautical, or you’re after a new, exciting accessory, look no further than 727 Sailbags. 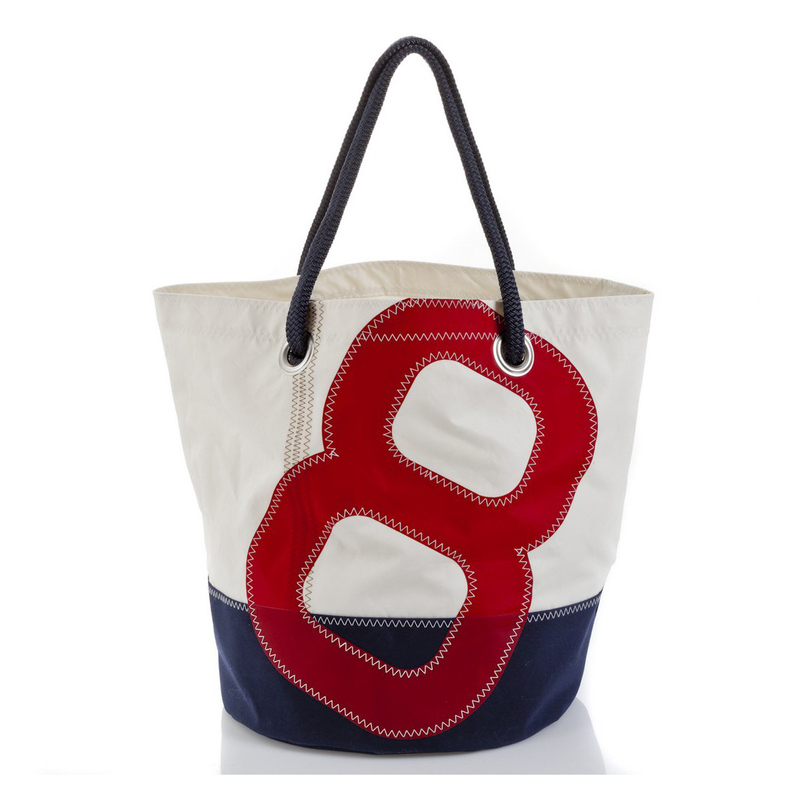 Crafted in France, this distinct company specialises in using 100% recycled sails. Sewn by hand, each piece is one-of-a-kind and boasts an authentication label as a reminder of the sail’s maritime history. Hand-sewn in France, this Big Dacron Tote Bag is crafted from a genuine GV sail cloth and is equipped with two rope handles for easy portability, while the main compartment opens up to reveal two open pouches for organisation. Crafted from a genuine GV sail cloth. Adorned with a large number “8” on the front. Main compartment features two small open pouches. Includes an authentication label inside the main compartment, detailing the maritime history of the sail used. Equipped with two rope handles. Please Note: This handbag is hand-sewn from recycled materials, and as such, your item may vary slightly for the images above. Dimensions: 55cm (l) x 40cm (h) x 35.5cm (w).